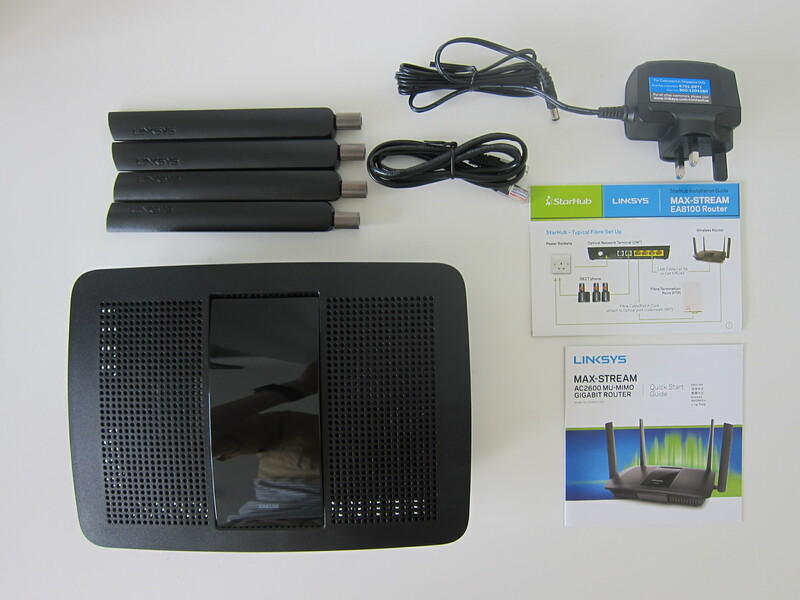 EA8000 series has always been Linksys mid-tier routers targeted at the more budget conscious customers while at the same time delivering value for money performance. The design for EA8100 is similar to that of the EA8500. 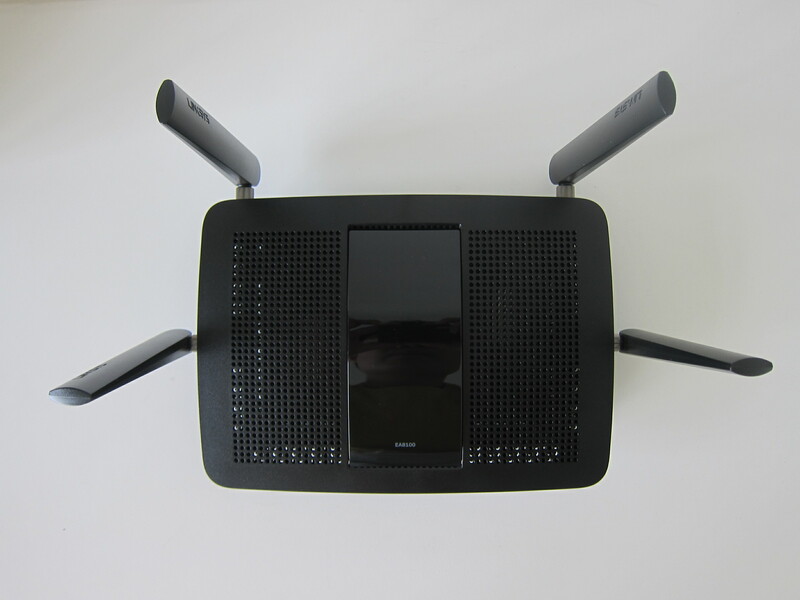 Even the specs is similar with its 4×4 MU-MIMO and AC2600 (800 Mbps (2.4 GHz) + 1,733 Mbps (5 GHz)). However, the processor on the EA8100 is slower, 880 MHz vs. 1.4 GHz and the RAM is lesser 256 MB vs. 512 MB. Not surprising, since Linksys release it using a lower model number. EA8100 retails for S$329. But sadly, you cannot get it in any retail or online stores as it is exclusive to StarHub customers. To get the router, you need to sign up for, or renew your StarHub 1Gbps Fibre Home Broadband. The plan cost S$39.90 per month, and you will get the EA8100 free of charge. As mentioned earlier, the design of the EA8100 is similar to that of the EA8500. The difference lies in the port design. For EA8100, the eSATA and wi-fi on/off button have been dropped which make sense in the current age. The Internet port has also been separated from the four LAN ports and moved to the left for better visual clarity. Since it features a 4×4 MU-MIMO, it has four antennas. Two at the back and one on each side. The weight and dimensions of the EA8100 are the same as EA8500. Measuring 257 x 184 x 56 (mm) and weighing 558 g without antennas. 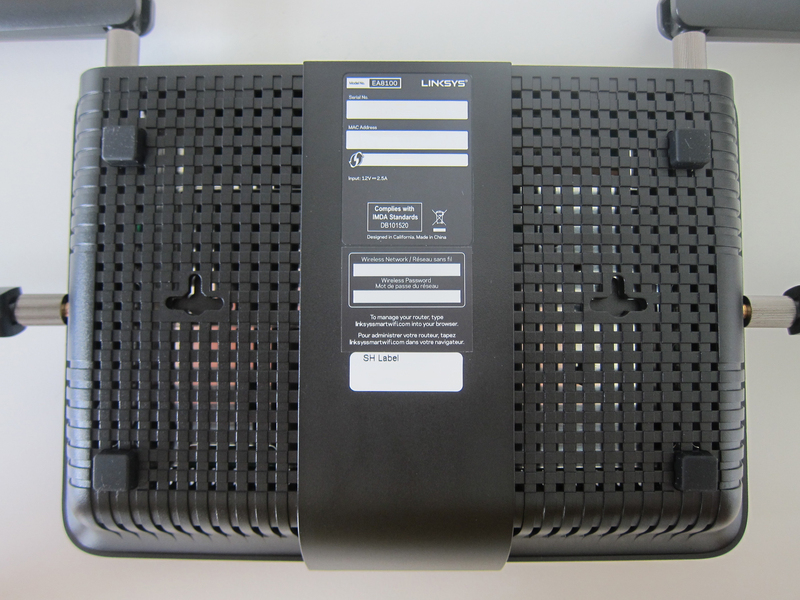 It is exclusive to StarHub, and hence you can find a StarHub serial number label at the bottom of the router. 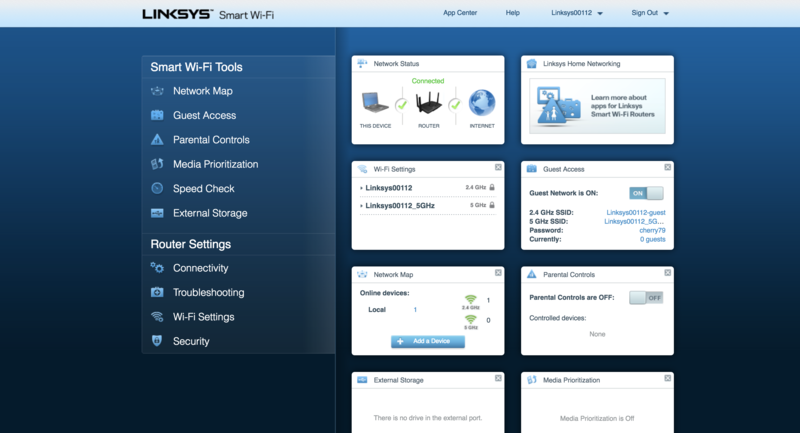 The EA8100 is a smart router as well, and hence you can access your router settings remotely over the Internet using the Linksys Smart Wi-Fi website (linksyssmartwifi.com) or Linksys mobile app available on both iOS and Android. 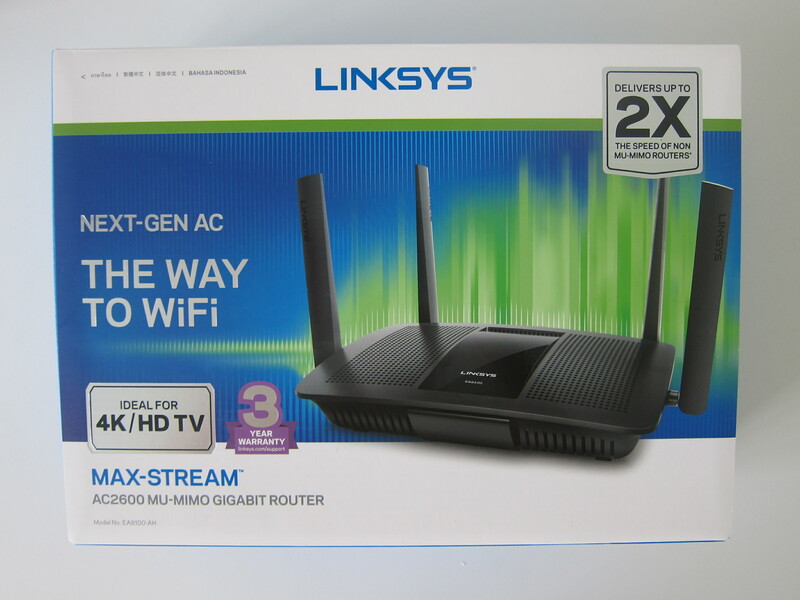 Like most Linksys routers, it also supports beamforming. 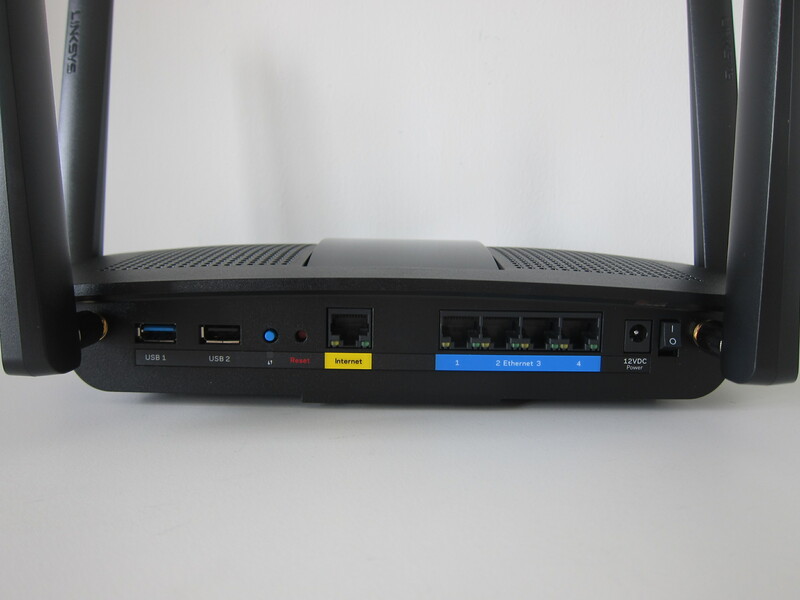 Beamforming enables the router to identify and connect directly with the devices rather than merely sending out wireless signals in a general direction. This ensures faster network speeds, better wireless range, reduced interference from other devices, and stronger Wi-Fi connections. EA8100 supports 4×4 MU-MIMO. MU-MIMO stands for Multi-User, Multiple-Input, Multiple-Output. 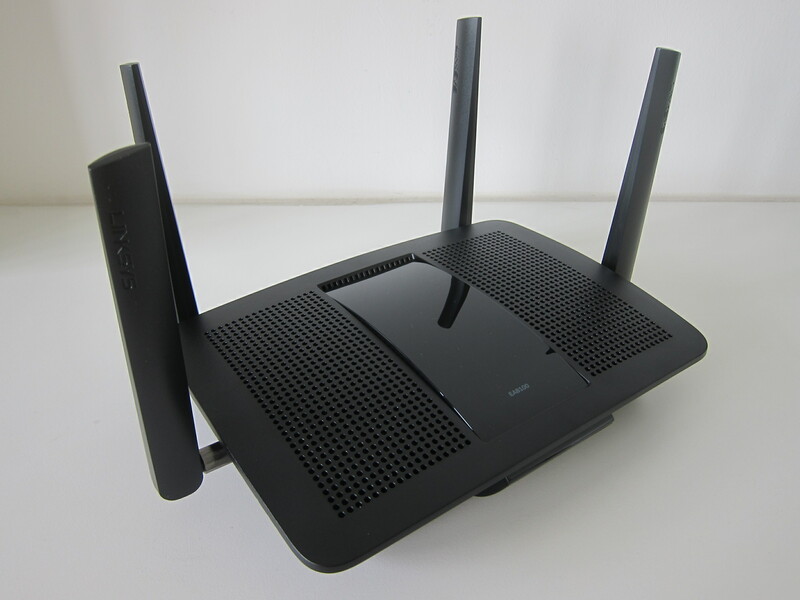 The router can send and receive up to four streams of data using multiple antennas to multiple clients simultaneously. Of course, the client itself must support MU-MIMO. Most modern Qualcomm Snapdragon processors found in mobile phones support MU-MIMO. There is no OpenVPN Server support on the EA8100. It seems that OpenVPN Server is only supported in WRT series, in particular, the WRT3200ACM, WRT1900AC, WRT1900ACS, and WRT1200AC. 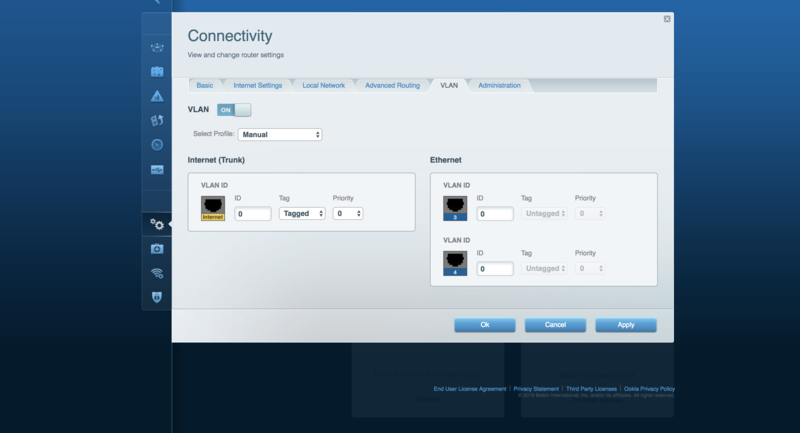 VLAN tagging is available in EA8100. 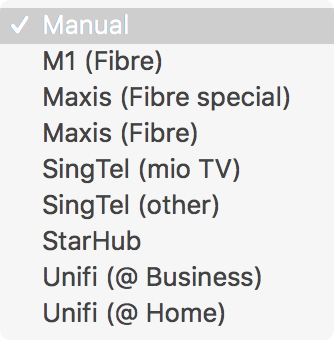 Despite it being exclusive to StarHub, there are presets for other Singapore ISP VLAN tags as well. DFS stands for Dynamic Frequency Selection. DFS is created to solve the problem of interference and airspace congestion from different routers operating in HDBs or high-rise condominiums. It solves the problem by expanding the number of available wi-fi channels of the 5 GHz band from nine to 25. 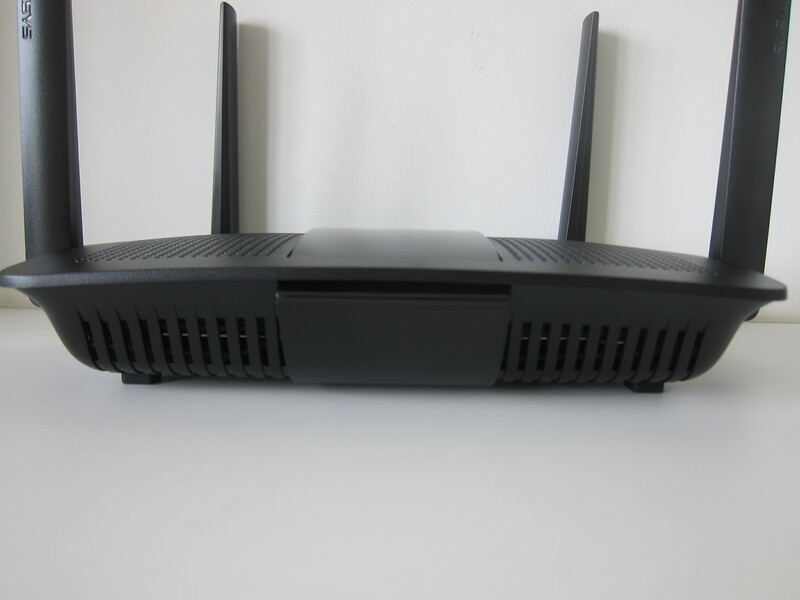 The EA8100 is probably the first and only router right now to support DFS. The reason being it requires more stringent approval from the authorities due to the use of restricted frequencies. The use of frequency throughout the world is govern by the ITU Telecommunication Standardization Sector. How it works is pretty simple. You can refer to the graph below for a rough idea. Right now, your router 5 GHz band uses one of the nine public channels marked in green (36, 40, 44, 48, 149, 153, 157, 161, and 165). The 16 DFS channels marked in orange are restricted channels reserved by the government for the military, emergencies services, and weather radar. Out of the 16 channels, we can only use 15 of them (52, 56, 60, 64, 100, 104, 108, 112, 116, 120, 124, 128, 132, 136, and 140). Channel 144 can’t be used because older 802.11ac devices don’t support it and several worldwide regulatory prohibit the use of that channel. You must be wondering if it is restricted, how come the EA8100 can use it? The answer lies in the DFS technology. By default, when you set up the router, it uses the DFS Channel 108. In the background, the router is actively listening for any military, emergencies services, and weather radar that is using the same frequency. If there is an airplane flew by your house and broadcast the channel 108 frequency, your router will acknowledge it and back off from the channel by switching to a random non-DFS channel. During this channel switch, you will encounter a short disconnection on the 5 GHz band. You will not feel any difference as it happens within a spilt-second. The disconnection when switching from non-DFS channel to DFS channel is longer because the router needs to scan the radio environment whether the selected DFS channel is being occupied by the radar. The scanning could take up to ten minutes. It will stay on the non-DFS channel till you explicitly switch it back in the settings. It will not automatically switch back because that involves dropping your connections and restarting your router. In Linksys point of view, that is deemed poor user experience, and hence they decided not to switch it back automatically. There might be cases where you thought you are on a DFS channel, but actually, you are not. 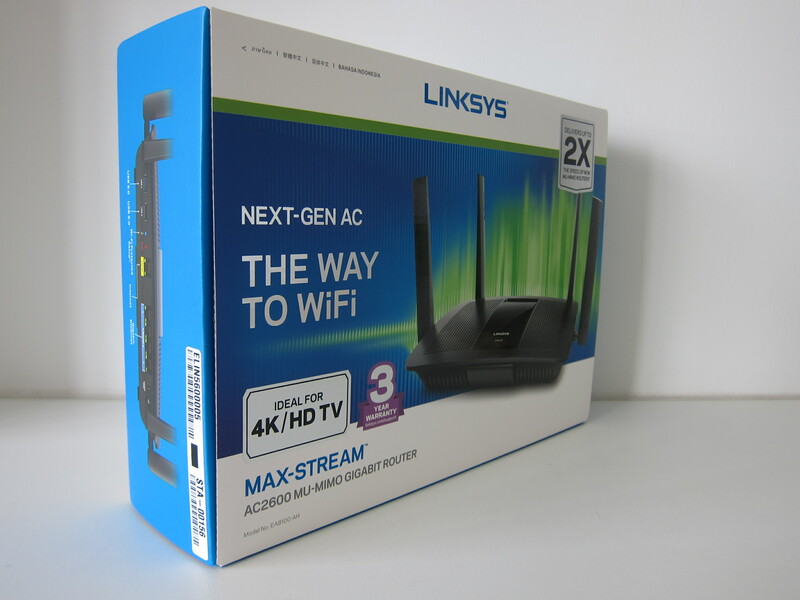 The router probably switches to a non-DFS channel while you are away as the DFS channel might be in use. I wish Linksys will inform you via a push notification on the Linksys app or via an email when that happens. At least you know you have to switch it back, rather than keep checking the wi-fi settings page every day. In your router admin UI, the “auto” option in the 5 GHz channel settings doesn’t include DFS channels. 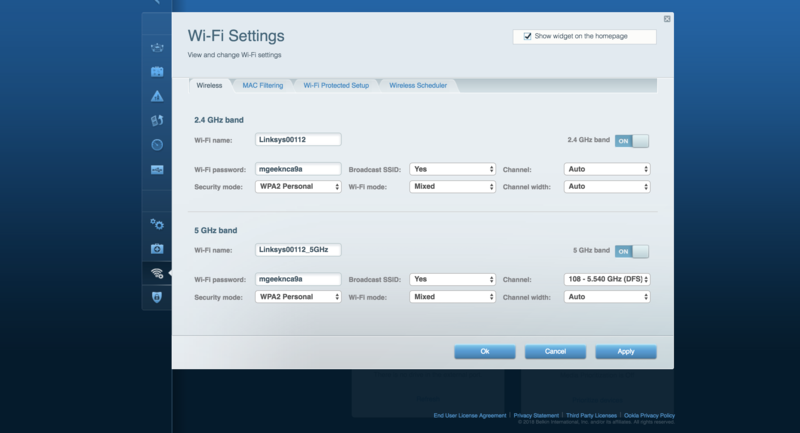 The router will only automatically select the best non-DFS channel. There is no auto option for DFS channels yet due to technical limitations of the chipset. For now, you can select any arbitrary DFS channel. If you find that your router keeps switching back to a non-DFS channel, you might need to choose another one as your house might be near an airbase or a weather station which always broadcast the same DFS frequencies. I live in a new HDB BTO flat. And like most new BTO flats, they are all built using prefabrication techniques. 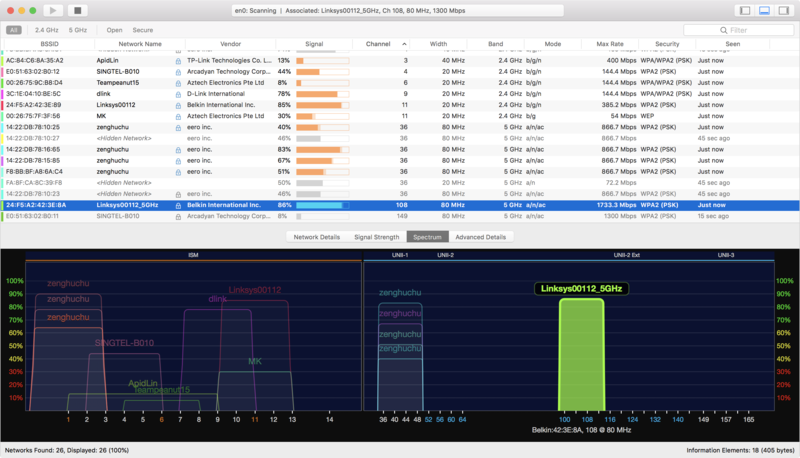 I think the walls of prefabrication flats are much thicker than older apartments and hence I do not get much congestion on both the 2.4 GHz and 5.0 GHz bands from my neighbors. And therefore, DFS doesn’t make much of a difference to me. 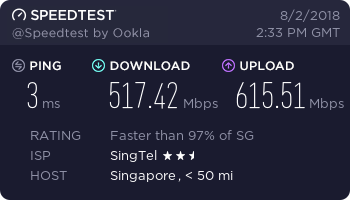 However, if you live in an older HDB flat (which I assume the walls are thinner), you might get congestion on the 5 GHz band due to all your neighbors’ routers. Likely those routers will only be using one of the nine public channels. So, if your router supports DFS, your 5 GHz band will not be “squeezing” with the public channels, and hence you will get much faster speeds. 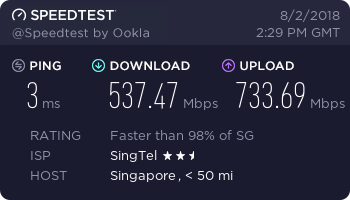 Using DFS channel, the only speed improvement I get is for uploading speed. The speed difference is more than 100 Mbps everytime I test it with Speed Test. Downloading speed remains almost the same. I can’t seem to think of any disadvantages for DFS. It doesn’t require explicit support on the client side, unlike MU-MIMO. As long as the client can connect to the 802.11ac network, it will support DFS channel frequencies. 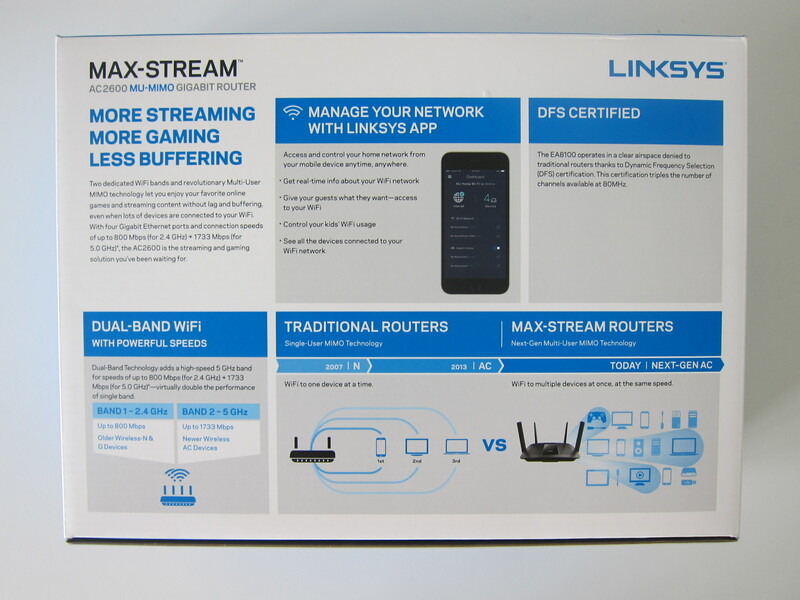 I foresee future Linksys routers will support DFS, like how the EA8500 is the first router to support MU-MIMO and after that, you can find MU-MIMO in almost all Linksys routers. Hopefully, by then, it will no longer be exclusive. No one switches an ISP just to get an exclusive router, though the same can’t be said for mobile phones. This page is generated on 19th April 2019, 03:47:56 (UTC) in 0.469s with 18 queries using 4.0 MiB of memory.